Skatepark Design Meeting With Dreamland! BE THERE! OK folks… This is it. There has been a lot of discussion over the last few years about they kind of skatepark Lexington needs. Anytime the new park is discussed, it seems everyone has great ideas about what type of elements the new park should have and now the time has finally come for your ideas to be shared with the guys who are going to build the park! This thing is about to get moving fast so time is of the essence! Below is the Press Release for the design meeting! Please do your part in getting the word out and getting the skate community out for this forum! Please Share and Tweet out this page!!! LEXINGTON, Kentucky (March 26, 2014) – Before the first shovel of dirt is turned, all community members are asked to take part in the unique opportunity to share their best design ideas for a new skatepark at Berry Hill. A public input meeting is scheduled for next month. Representatives from Dreamland Skateparks, an Oregon design firm heading up the project, will fly to Lexington for the meeting. They are asking members of the public to come loaded with ideas about what they want to see in their next skatepark. Friends for Skateparks, a non-profit organization, has collaborated with the Lexington Fayette Urban County Government and Parks and Recreation to make the Berry Hill Skatepark a reality. Eighth District Councilman George Myers has been a leading advocate of the project. Friends for Skateparks President Gavin Duerson encouraged the community to participate in the public meeting. 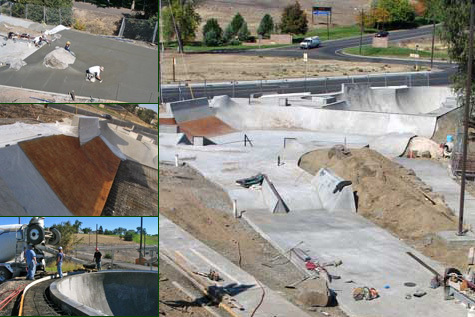 For more information on the Berry Hill Skatepark project go to www.friendsforskateparks.com. Tags: Berry Hi, Berry Hill, Design, Dreamland Skateparks, Ideas, Lexington Kentucky, Meeting | Permalink.